MatrixFrame, MatrixBeam and MatrixTools are powerful tools for structural design of concrete, steel and timber building constructions. The versatile analysis software are equipped with a wide range of modules: from simple detaill analysis to complete 3D portal frame and FEM for floors and walls. 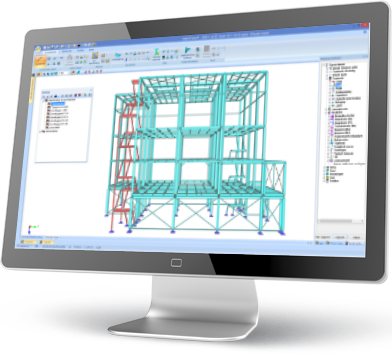 Structural analysis software for structural engineers to design lattice plate floors, hollow plate floors, ribcassette floors and bridge beams. 40 easy to use detail analysis modules for concrete, steel and timber structures. One dialog for input & one dialog for output results. It can be that simple. Matrix Software offers special versions for educational use. MatrixFrame is easy to learn en easy to use. The educational versions help teachers to educate structural engineers.